book six: steve martin’s “an object of beauty”. | sara, darling. 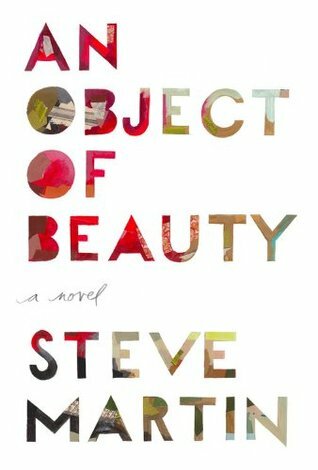 book six: steve martin’s “an object of beauty”. yes, by THAT steve martin. the book was an interesting story with a narrative of the current state of the art world, and only occasionally uneven. by uneven, i mean that at times when i was reading i felt like i wasn’t quite getting something and not in an agatha-christie-what’s-the-mystery kind of way, but in a david-letterman-is-this-something? kind of way. it definitely illuminated parts of the art world without being overly critical (just the right amount, i think) or too apart of it. ← book five: michael pollan’s “the omnivore’s dilemma”.